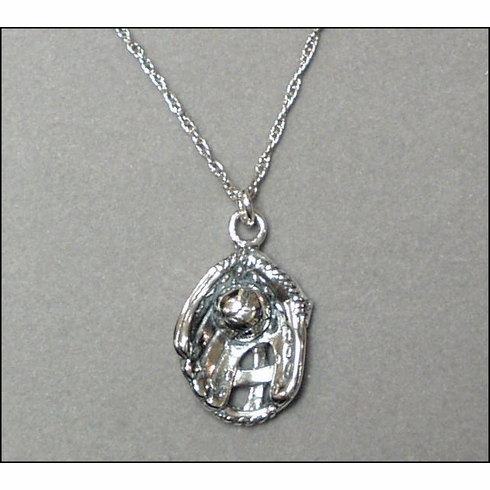 Hand & Hammer Silversmiths brings us this 18" necklace, featuring a ball in glove charm. This is a must-have for women who love baseball. Constructed from pure Sterling Silver, Hallmarked .925 (the purest form). Detailed glove measures about 3/4" tall - image of earrings is a little blurry...image of necklace shows the actual detail of the charm. Everything Baseball offers matching key chains, charm bracelets and round baseball necklaces and dangle earrings.